Stay motivated and reach your running goals with the TomTom Runner GPS watch. Get easy access to the information you need to track your progress and boost your performance. Sync, analyze and share your stats on popular sport sites or apps. 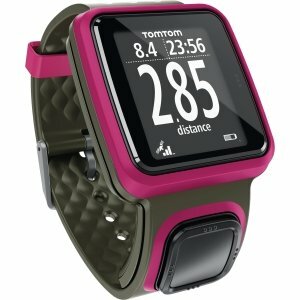 Marketing Information: Stay motivated and reach your running goals with the TomTom Runner GPS watch. Get easy access to the information you need to track your progress and boost your performance. Sync, analyze and share your stats on popular sport sites or apps.